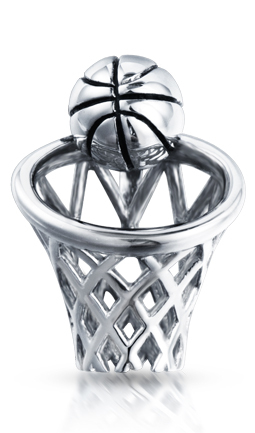 The fun Field Goal Pendant features a 925 silver basketball hoop, net and ball. The basketball is positioned on the back of the hoop giving the impression it is about to drop through the net. Black grooves give the basketball its detail.